We are all deeply motivated by our fears, and they influence nearly every one of our decisions. 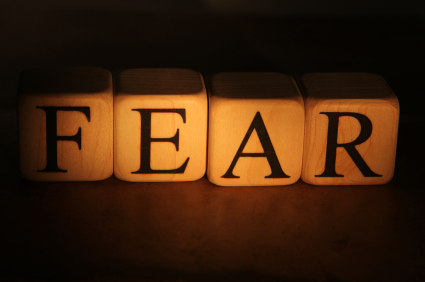 Some fears are entirely legitimate, while others are unwarranted. Some fears are healthy, while others are neuroses. And while children are naturally prone to fears of all sorts, due to their lack of knowledge, adults are often victims of unfounded fears due to faulty knowledge or perspective. No one is more susceptible to an expert’s fear-mongering than a parent. Fear is in fact a major component of parenting. A parent, after all, is the steward of another creature’s life, a creature who in the beginning is more helpless than the newborn of nearly any other species. This leads a lot of parents to spend a lot of their parenting energy simply being scared. Before I upset too many people with what may seem like a callous attitude toward parenting, let me declare that my wife and I are protective parents. I believe in protecting children from danger, whether it’s a car ride or watching TV. I also believe that as my children grow up, it is my responsibility to train them to protect themselves from danger and give them an increasing amount of freedom, according to their age and development. I try not to be an over-protective parent. I believe that kids should be allowed to make mistakes, deal with injuries sustained while having fun, and handle many of their own troubles on their own. The trick is knowing when to protect and when to let them be on their own. I think it’s best to error on the side of caution in the early ages and error on the side of freedom in the later teen years. But there is no formula. Parenting is an art, more than a science, for there are dozens of factors and nuances in every parenting decision. Parents of infants fear Sudden Infant Death Syndrome. Parents of toddlers fear sharp edges on furniture and the cords that hang from blinds. Parents of pre-schoolers fear that their child must learn to read before kindergarten. And there is a new fear for every stage of development, offered by marketers selling child safety products and fueled by the media which grabs viewers with their fascinating and often terrifying stories. Even Oprah was often guilty of using fear to gain viewers and sell products related to her guest experts and advertisers. Rumors and sensational stories rule the day, making us afraid of letting our kids near everything from tap water to corn syrup. I’m afraid my daughter will get attacked by a shark. I’m afraid that she will get struck by lightning. Letting her walk or ride her bike makes me afraid she’s going to be abducted. I won’t let my child eat fish for fear of getting lead poisoning. I won’t let them go to the beach for fear of a hurricane. I won’t let them go to camp for fear of sexual abuse by a counselor. I won’t let them have a cell phone for fear of brain cancer. One of the most common fears that parents have in suburban America is related to youth sports. The fear is that if they don’t get their kids involved in organized sports at a very early age, then they will be at an extreme disadvantage in high school. At root, it’s the fear of failure. Now, I’ve been involved as an athlete and coach for 30 years, and I have seen no evidence and I have found no data to support the idea that kids need to start competitive sports prior to age ten. In fact, many child psychologists see potential trouble with it, since it often results in over-scheduled, stressed-out children and families. Regarding child safety, Levitt and Dubner explain that many parents will not allow their children to play at a neighbor’s house if they know there is a gun stored in the house (even if it’s safely stored), but they will not hesitate to allow their children to play there if there is a pool in the backyard. However, the statistics show that a child is more than 100 times more likely to die in a swimming accident (1 in 10,000) than by a gun accident (one-in-a-million). The presence of a gun, even when hidden under lock and key, is much scarier than the pool, so we find it hard to believe the facts of their danger levels. But our job as adults is to act not on mere emotion, but on facts and critical thinking. They cite a variety of other fears that have been entirely blown out of proportion, such as mad-cow-disease-ridden beef, flammable pajamas, and killer passenger airbags. The statistics show that these fears are not founded on real data, according to Levitt and Dubner. In fact, the threat of harm by these scary “killers” was and is infinitesimally minute. And yet, we ignore the real dangers all around us. For instance, instead of worrying about tainted beef, we should be throwing away the dirty old sponge in the kitchen sink. Instead of buying a new Volvo with 38 airbags, we should commit to not using our cell phone while driving. Instead of throwing out all our plastic containers because we are afraid of BPA, we should stop consuming so much soda and junk food, stop smoking, or drink a lot less alcohol. Unfortunately, most Americans face real danger everyday, but it’s not scary and it’s not instantaneous. Cholesterol, chemicals, smoke, and a cellphone in a car are not inherently scary to most of us, yet they are entirely common and quite dangerous. While it is certainly noble to protect young children from danger, it is not fair to older children and teenagers to over-protect them. We need to protect them just enough, but not too much. That is NOT to say that teens should just be left to raise themselves. After all, they need to be required to wear their seat belts and not talk on the phone while driving, otherwise they will be in grave danger daily. But it is not healthy to keep older kids cooped up in the safe cocoon of the home all the time for fear of a rare peril. I suppose there is a second issue here, beyond the idea of fearing the right things. And that is how we respond to our fears. And perhaps it is our response that matters most. After all, it’s not such an easy thing to control our fears, but it’s certainly feasible to respond to our fears in a mature way. For example, it’s natural to fear sharks (thanks to Steven Speilberg’s Jaws movies), but it’s not fair to keep kids out of the ocean. Every child should be allowed to swim in the ocean with a parent nearby watching. The odds of a shark attack are 1 in 11.5 million – astronomical odds in favor of safety. Your real danger on the beach is skin cancer caused by sunburns or drowning caused by riptides (if they exist at that location). Be afraid of the common dangers and protect your children from them, but let them swim – for the love of life. So, push your son off the couch and get him out there in the world, exploring the creek with his friends, hunting with his grandfather, and riding his bike to the convenience store. He’s not going to get abducted, lost forever, or shot. But train him to be smart, have fun, and wear a helmet when riding his bike. A big bike crash with a head injury is a real probability – a legitimate fear – easily prevented. Just don’t let that fear rule the day. So, the goal here is to get good information and try to fear the right things, not just the scary things. 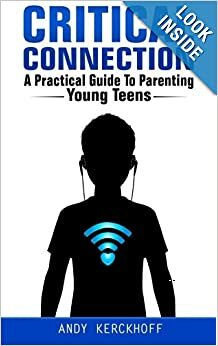 Get information from a variety of sources, and let your kids live free of unchecked fears. Show them the way. Teach them to avoid the common dangers and not to live in fear of the one-in-a-million dangers. For if we live fearful lives, then they will do the same, and that is not the way to grow up well. My wife is a naturally-fearful woman, but most people would not describe her as such. Her solution to being overly-fearful as a mom is to focus on the NOW WHAT of the situation. The following is an example of a time when she got it just right. She was afraid to let her 8 year-old son go in the public bathroom at the park alone. So NOW WHAT? She realized that her boy could not go in the women’s room anymore, but she did not feel right about letting him go alone. She realized that he needed more than just momentary protection; he needed to learn about some real dangers and some self-protection skills. So, she explained to him all about how there are a few weird men out there who will hurt children, then she taught him what warning signs to look for. She was very specific about what to look for and what to do if any red flag things were to ever happen. Once she felt that he fully understood all that, then she let him go in public restrooms, while she waited and listened outside. Her fears were not erased, but by training him to be smart and strong, she not only protected him, she empowered him. And for her, it was a step of faith, learning to trust that God would care for her son, and that she had done her part in training him at the right age for the right activities. My understanding is that our bodies need fat, especially in the early ages, as the brain is developing. Babies need a high fat diet. As we age, most Americans eat way too much cholesterol-producing foods: trans fats, saturated fats, simple sugars, salt – basically junk food galore. Some cholesterol is good, some fat is good, but most Americans are dying of too much fat, which eventually causes heart disease. The solution is not medicine, unless it’s a crisis. Our behavior everyday is killing us: poor diet, lack of exercise, not enough water, high stress, lack of sleep, etc. It’s the little choices that kill most of us.